As garden and lawn care specialists, we cannot emphasize enough how important it is for you to take good care of your plants inside and out. We understand that not all homeowners have the time or the patience to take care of their plants regularly, so we offer our all kinds of fertilization services that will ensure your plants’ health throughout the year. Turf grass needs the right nutrition to stay the right color and lushness. We make it our priority to analyze the nutrient content of your soil so we can supply the right nutrients to support your plants’ proper growth. The major nutrients that your plants need include potassium, phosphorus, iron, and nitrogen, but the amounts vary greatly from plant to plant. Grasses are especially hungry for nitrogen, so it is important to keep your soil’s nitrogen levels high. Very few soils contain the proper amounts of nitrogen to sustain the health of your turf grass. Sooner or later you will see the usual signs of low nitrogen intake, such as weed infestation, yellowing of the leaves, slow growth, and thinning of the turf. As with all living things, proper nutrition can make your plants resistant against weeds, insects, and diseases. Healthy turf grass also recovers better and faster from stress, so you have nothing but a lush, thick carpet covering your lawn all year round. However, homeowners should also guard against over-fertilization, as it may lead to excessive leaf and shoot growth, higher susceptibility to environmental stress, and low plant food reserves (carbohydrates). 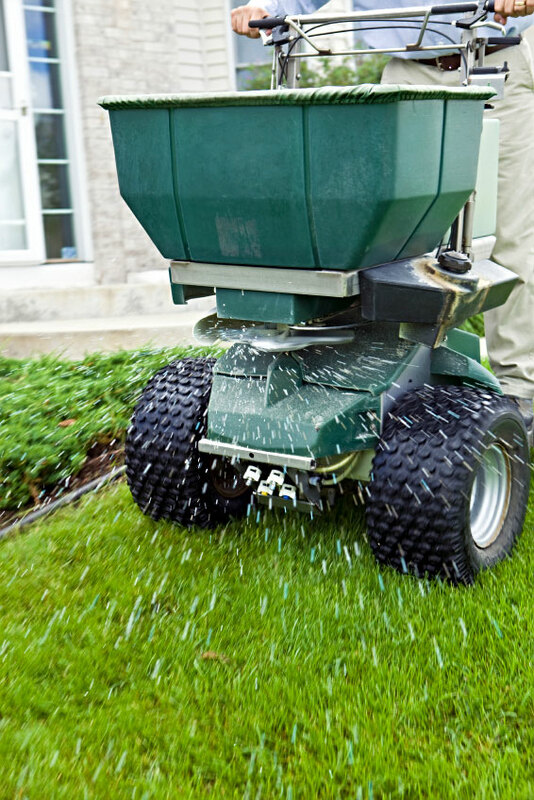 Only a trained lawn care specialist can help determine which lawn nutrients are necessary for your turfgrass, as well as what levels are best to produce a lush, thick lawn. Grubs are usually prevalent during the summer, when they can feed on your root systems freely. The damage might not be apparent until July-October, and at this point the plants have been weakened too much to be salvaged. Our control treatment plan will let you have a handle on the grub damage as early as possible. Your home soil’s pH levels can impact significantly on the vigor and quality of your home lawn. Acidic soils, or those that have a pH of below 7.0, make it harder for the grass to take in the nutrients necessary for its proper growth and resistance to heat, drought, and traffic stress. Springfield Gardens, Lawn and Landscape can definitely assist you in keeping your lawn well fertilized. Lawn Care programs containing regularly scheduled fertilizing applications keep your turf healthy, dense and green. Give us a call at (417) 882-7800 to get a free quote.